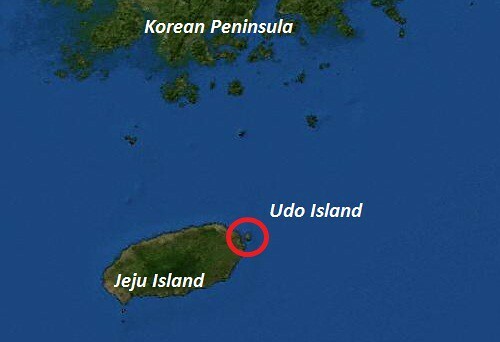 Udo is an island located at about 10 minutes by boat from Jeju Island. 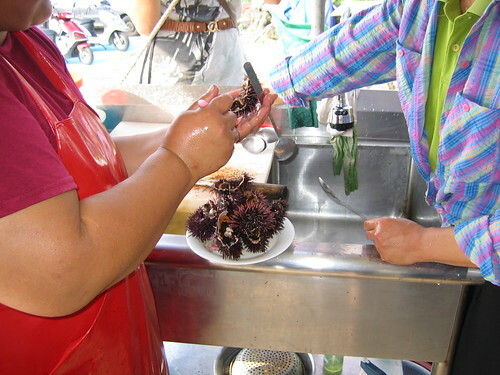 It is a very small island (6 sqare kilometers) inhabited by around 1,700 people who make a living from tourism (mainly Korean) and fishing. 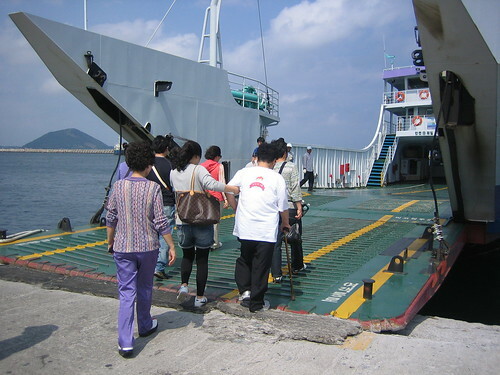 From Jeju Island there are ships going to Udo very frequently. 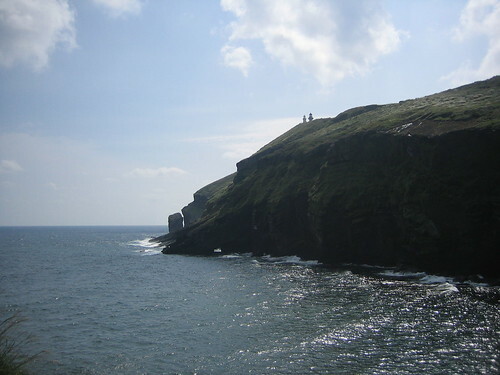 It is possible to take your car if you rented one, but given the size of the island, I wouldn’t recommend it. With Shienna, already in Udo. 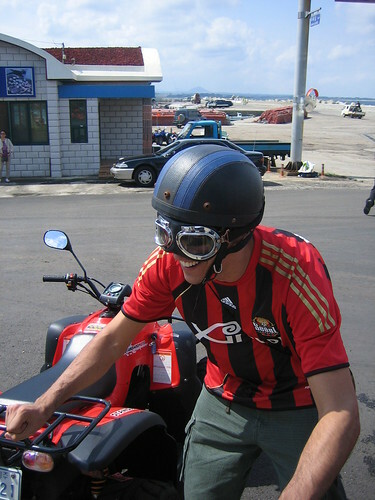 Pablo ready to rock on his quad. 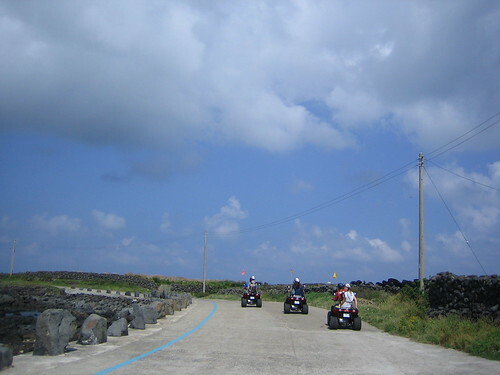 The most fun way to see the island is on these quads (ATV) that you can rent for 40,000 KRW (20 thousand per person). 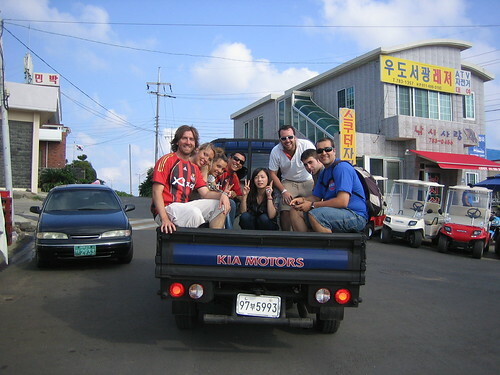 It is also possible to rent a bike for only 5,000 KRW. 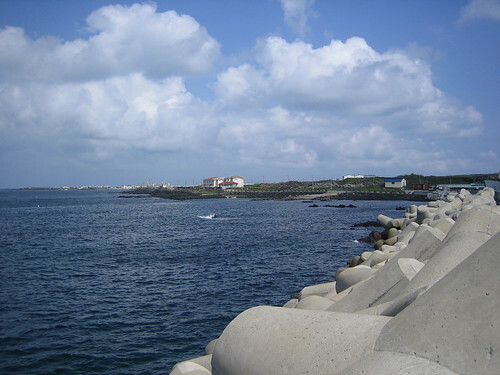 Despite being a very small island, Udo has some of the most beautiful sceneries I have seen in South Korea. The quads made seeing the island a really fun experience. 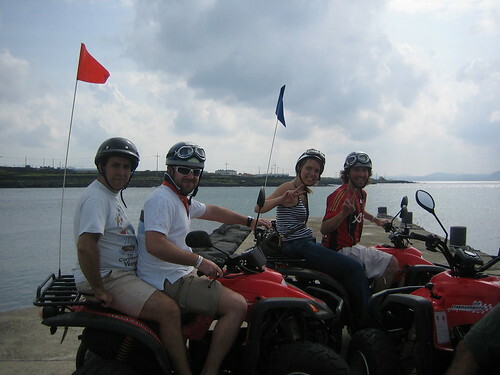 In the picture, from left to right, Luis, Manuel, Marta, and Juan Carlos. 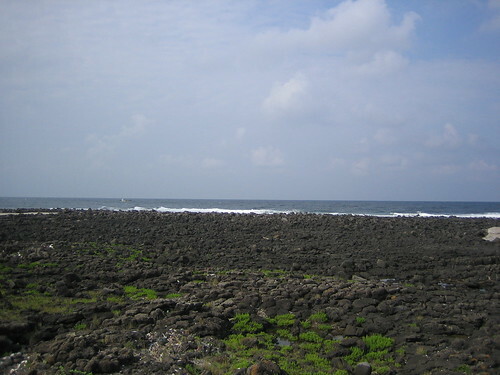 The island’s beaches are not made of sand, but volcanic rocks like these. 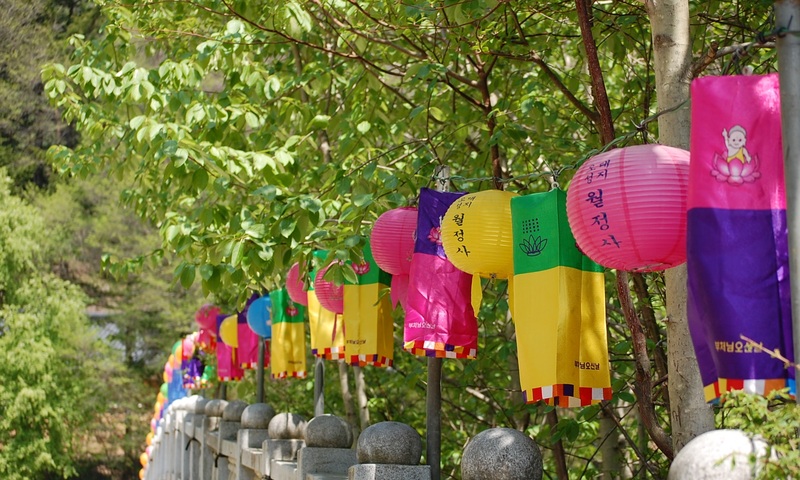 Another thing that seems funny to me is that Koreans from the islands look quite different from those from the peninsula. These two brother and sister are a sample of this (don’t miss the boy’s earrings!). Jiwon in an artificial beach made with white coral. The owner of one of the many restaurants in the island, seeing how many people we were, and how hungry… did not hesitate to take us to his restaurant on his pick-up.